Pax Avalon: What is Pax Avalon? Pax Avalon is rough Latin for "the peace of Avalon." 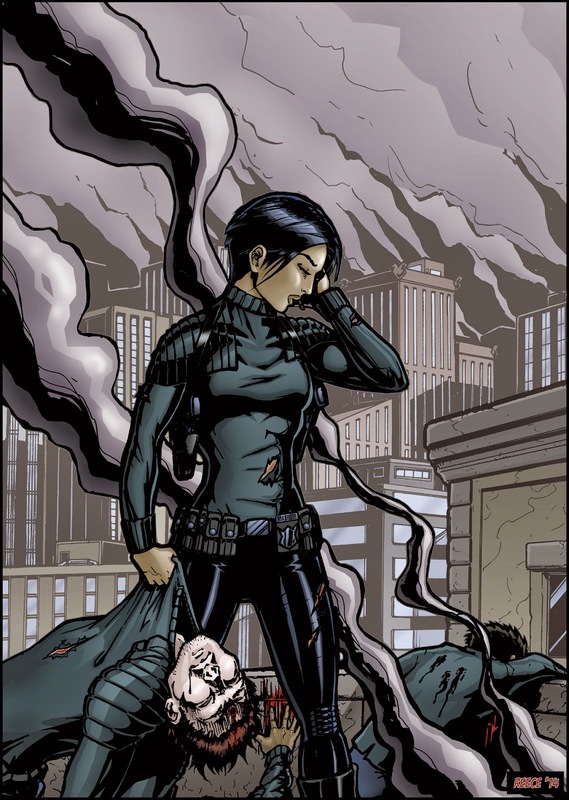 (Avalon City is the fictional world where Julianna Embry and her ACSO teammates live.) It comes from the ancient ideal of Pax Romana: the peaceful existence offered by Rome to the territories it conquered with the sword. That was the idea anyway... the Roman Empire rarely knew any kind of peace. The problem lay in the belief that their strong armies were somehow liberating people from the terrible existence they had been living before they had the privilege of kissing the feet of Rome. After all, the conquerers' culture brought so many new opportunities and fringe benefits... who wouldn't want to be a part of such a civilized world? Surely now that these conquered peoples were under the protection of the mighty Roman eagle, they would embrace their new fate. They didn't, of course, and rebellion was constant in the Roman territories. It seems you just can't force people to live in peace... They have to choose it for themselves. 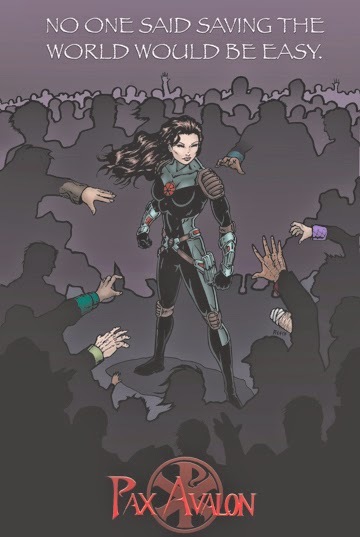 In a sense, this sums up Julianna Embry's own quest for peace in Avalon City. She herself knows peace and has come to experience it as a daily reality, but she rejects the notion that the sword (or any other weapon, for that matter) is the way to bring it to others. While there are many heroes who seek their own versions of peace (Pax Gotham or Pax Metropolis, for example), their means and methods tend to run the same way: be stronger and tougher than your enemies and you get to mould the world into what you want. Julianna does not follow suit. She represents a person actively living out peace -- a lifestyle example that compels people to consider living their own lives differently. If ancient Rome has taught us nothing else, we should remember that peace without freedom is no peace at all. Welcome to the new Pax Avalon website!